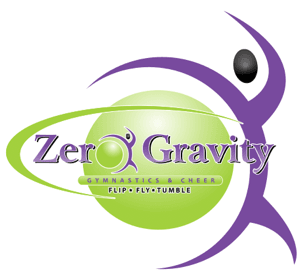 Thank you for your interest in Zero Gravity's Pre-School program. Our preschool program is more than your “average” program. We set high standards where the teachers and director firmly believe in providing a sound education in a safe and loving environment. Children are provided with an age appropriate curriculum taught by experienced and loving teachers. The lesson plans are ones that focus on expanding a child's knowledge and awareness of the world through stories, games, music, crafts, centers and various learning activities. In addition to the academics, children enjoy multiple play areas (including water, sand, dramatic play, blocks, science, manipulative games and toys), as well as organized gym time daily. Our goal is to provide a developmentally appropriate preschool experience that allows all the children to blossom as they work their way to Kindergarten. We offer low ratio classrooms, with high quality care and the added flexibility of a 2, 3, 4, or 5 day a week schedule. Our team of dedicated teachers display their love of children by providing a safe and nurturing atmosphere while appreciating each child's uniqueness. If you would like to learn more, schedule a tour, or have specific questions, give us a call/email today. We are a State Licensed Preschool and After school Facility. We do background checks and fingerprinting on all employees.